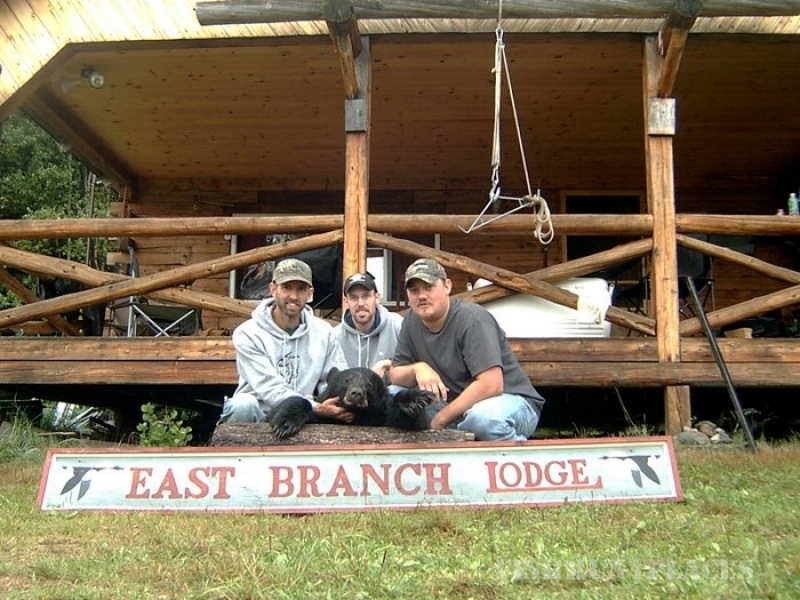 East Branch Lodge is located in Aroostook County, Maine near Haynesville along Rt. 2A Just south of Houlton in WMD zone 11. 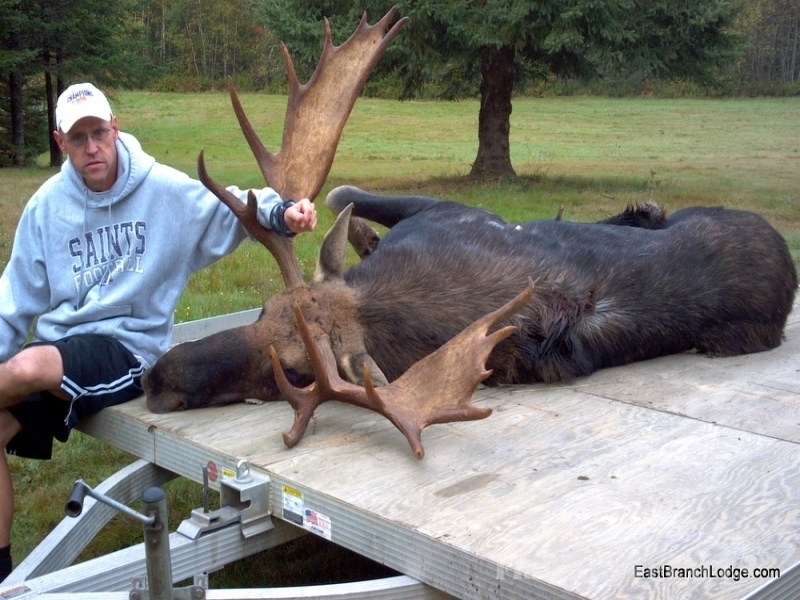 We offer Maine guide services for Maine bear hunting, Maine whitetail deer, Maine moose hunting ,Maine grouse hunting, fishing and now turkey hunting in our zone 11. We also offer cabin rentals. Have a look around our website and enjoy your stay, if you have any questions do not hesitate to contact us. 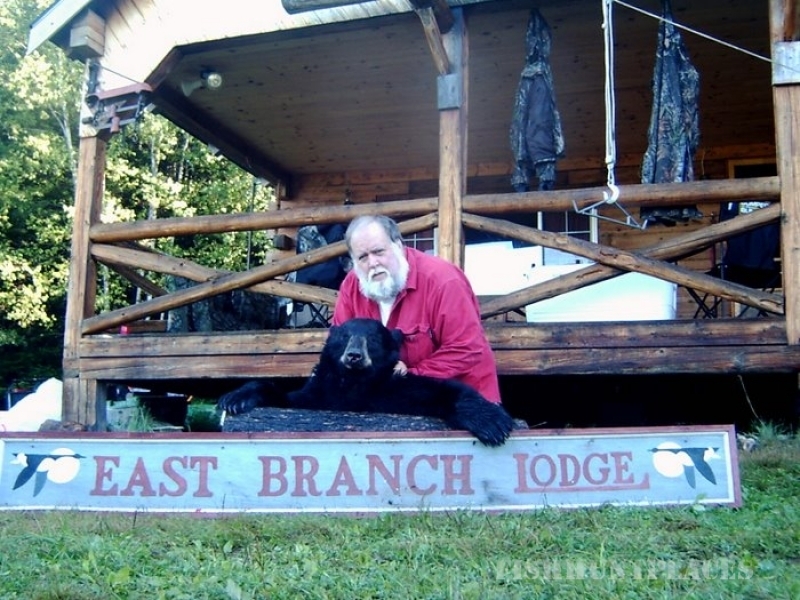 East Branch Lodge in Maine offers many packages to choose from, including: cabin rentals, trout fishing, small mouth bass fishing, black bear hunting, whitetail deer hunting,turkey hunting, moose hunting, moose calling,watching and video, archery, muzzelloader hunting, coyote and grouse hunting. There are many lakes and streams through out the area for different activities. For snowmobilers there is trail riding along miles of groomed trails maintained by local clubs. So whether you are looking for that quiet vacation in the Northern Maine woods, salmon fishing on East Grand Lake, bass fishing even pickerel fishing or seeking that elusive whitetail buck, give us a try. So if you want to canoe, hike, moose call or hunt we hope you give us a try. Check out the pictures below to see what our cabins are like, we’re sure you wont be disappointed!